A fun-loving American gal, a brooding clan of ancient warriors, and a dangerous castle full of traps. What could possibly go wrong? From the moment that Edane mag Raith rescues Nellie from a pursuing Sluath, he is smitten. But while he’s certain that she is the woman from his dreams, she doesn’t seem so sure. 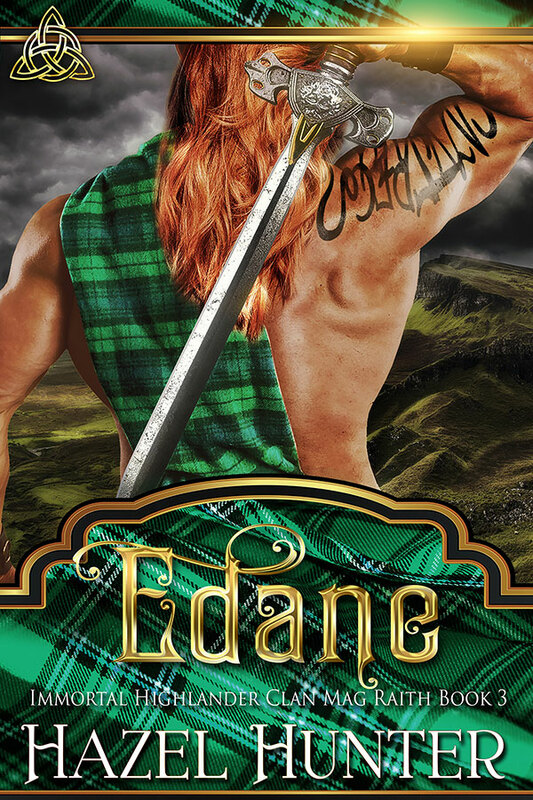 Nellie Quinn doesn’t mind spending time with the handsome highlander, but that goes for his entire clan. Shamelessly, she flirts with them all, even as she plots her escape. Her instincts say to run fast and far, and that’s exactly what she intends to do. While the clan contends with her, and the Sluath hunt her, the mysterious occupant of the castle watches her. When he realizes her unique gift is a lethal threat, he decides to be lethal in return. You'll only get email when I have cool stuff to share. I value your privacy and would never spam you. You can unsubscribe at any time. If you’re just discovering my books, you can start reading the first book in any series—that's right, any one of them. The first book will get you oriented to the world, and you’ll be off and reading! My catalogue is big and many of my readers use Kindle Unlimited. Try an Amazon Kindle Unlimited 30-Day Free Trial. Some of Hazel's ebooks are part of Amazon's exclusive author program meaning they can only be purchased from Amazon, but if you don't have a Kindle there is no need to worry! Download Amazon's FREE Kindle app by clicking here. Hazel and her husband stopped being separate people years ago. They live their happy life in the always crowded, mostly sunny, and sometimes sweltering city of LA. When you can pull Hazel's fingers from the laptop, you'll find her: on the elliptical watching a documentary, indulging her audiobook habit, or spending quality time with Candy Crush. Although she's vegan, she's a disaster in the kitchen. Luckily potato chips and pinot noir come ready-made.